This article is a review of ALL IN GOOD TIME. At the time I enjoyed ALL IN GOOD TIME, but the more I think about the film, the more I dislike it. There are too many questions raised as to character traits and narrative choices to make a rewarding experience; coupled with a woefully sentimental ending that rings of falseness. The final result is all the more gutting, as it is from the pen/typewriter/keyboard of Ayub Khan-Din – talented screen author of EAST IS EAST and WEST IS WEST. Both of those had something to say about cross-cultural and inter-generational conflict. Here, we are in family and romantic confrontation, within the context of an erectile dysfunction “comedy”. Newlyweds Atul (Reece Ritchie) and Vina (Amara Karan) are celebrating with family and friends at a scout hall in Bolton, Lancashire. A colourful and vibrant introduction quickly and efficiently reveals personalities and dynamics. 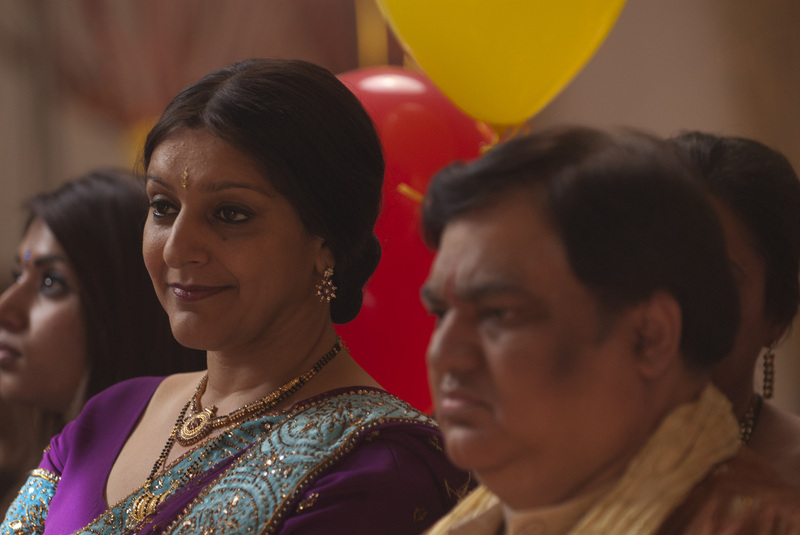 Atul is a worrier, Vina assured, Atul’s mother Lopa (Meera Syal) is a sensitive diplomat, his father Eeshwar (Harish Patel) an insecure attention-seeker with plenty of charm, and Vina’s mother is a stiff snob. Nobody really evolves until the crummy life-lesson climax. You know, where all of a sudden a cluster bomb of epiphanies go off conveniently. 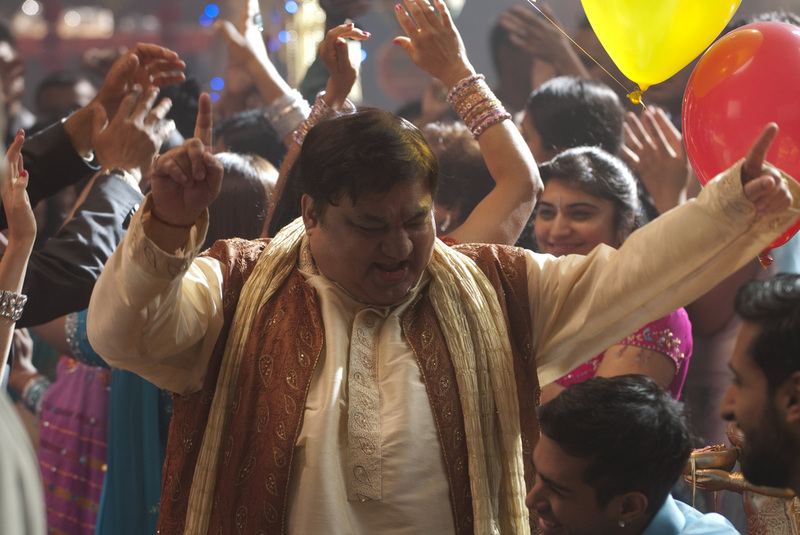 The hall is frowned upon, but is meant to show that Atul refuses to spend beyond his means, and he will also not be indebted to others for a wedding reception. Admiral traits - the only ones evidenced in the runtime. For some unknown reason Atul and Vina decide to spend their first night as a married couple in his home, where he lives with his parents and younger brother. There are of course interruptions for humorous effect, which go so far as to stretch the belief of that level of insensitivity. Why not go to a hotel or B&B? They also have never slept together. In this modern age, I wonder how many will empathise. The first 30 minutes are the wedding and aftermath, and the movie rollicks by. Proceedings then grind to a halt with a procession of incidents that prevent them consummating their relationship, seeming to aim for cheap laughs, and offer little insight. The next day is the honeymoon, but the tour operator goes bankrupt. Calamity after calamity ensues. His father doesn’t hesitate to say I told you so. Lopa asks her husband, “Why does it always look like you take pleasure in hurting him?” As Atul’s confidence ebbs further, he is unable to perform in the bedroom, and pushes Vina away. One has to wonder why Atul has not resolved this friction with his father, or come to terms with it, before the marriage; or together found a place to live elsewhere. Atul surely discussed Eeshwar with Vina when they were dating? Their nuptials are not arranged, and they say they are madly in love. I just don’t buy the fall out from the familial conflict. Such strife is presented as perennial yet blindsides everyone. While Karan, Syal and Patel are so watchable, Ritchie’s Atul spends the whole film moping around. It’s a one-note performance that makes him, the focus, extremely difficult to care about or like. And it hamstrings the film. Atul reminds me of Seth Rogen’s Ben Stone in KNOCKED UP – men of so little positive qualities that their ability to woo someone so attractive beggars belief. The coda is also baffling, incongruous in tone to what has gone before. Billy Bob Thornton’s JAYNE MANSFIELD’S CAR suffers the same odd addition to the main plot. This is no BEND IT LIKE BECKHAM or EAST IS EAST unfortunately.